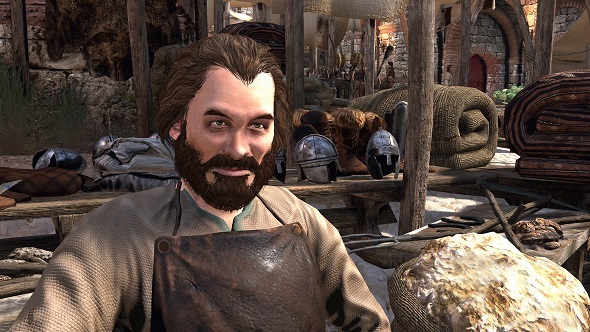 Taleworlds have offered up details as to how modding will work in Mount & Blade II: Bannerlord. In a post on Steam, they praise some of the best mods to ever make their way to the Mount & Blade series, and aimed to answer some modding FAQs. Here’s everything we know about Mount & Blade II: Bannerlord. The questions in the post have all been asked by Mount & Blade modders via Bannerlords official forums, and a lot of what they cover is reasonably technical (at least, it is for me), but it’s a very expansive list. Questions and answers range from the language that modders will be able to use (C#), to whether or not you’ll be able to add custom skeletons to the game (yes, although I’m not exactly sure why you’d want to). Arguably most useful is the list of all the tools that will be available to modders. Those include several editors, including tools to allow you to change scenes, materials, particles, and atmosphere. There’s also a replay tool to allow for video editing, and a resource browser to help you with all your modding needs. You can check out the full FAQ on Steam. It seems to be a pretty exhaustive list of questions, but it also provides you with a lot of excellent mods for the rest of the series, including the very silly Gangs of Glasgow.